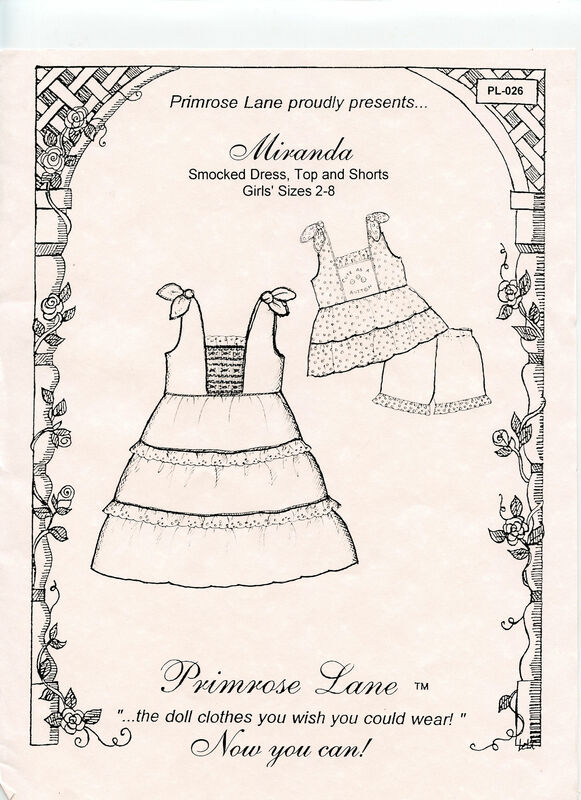 Miranda is a stylish and playful pattern for your favorite little girl. It includes a smocked dress or top and shorts. 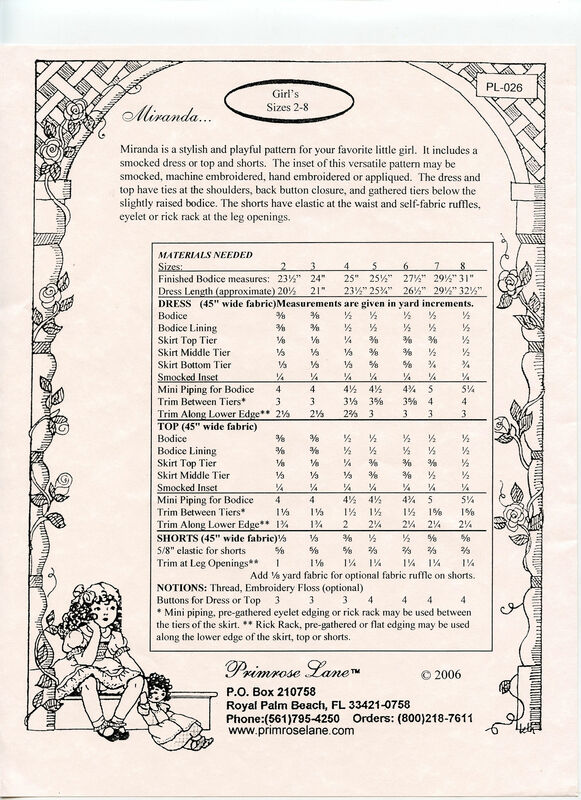 The inset of this versatile pattern may be smocked, machine embroidered, hand embroidered or appliquéd. The dress and top have ties at the shoulders, back button closure and gathered tiers below the slightly raised bodice. The shorts have elastic at the waist and self-fabric ruffles, eyelet or rick rack at the leg openings. Girl's sizes 2 - 8.